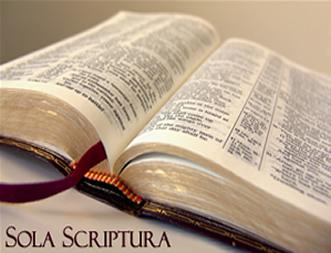 A large segment of Christianity holds to Sola Scriptura, which is typically defined as the belief that the Bible alone is the final authority for all things related to faith and practice. This view is taught in many Bible colleges and seminaries, and we are taught that it was one of the central battle cries of the Reformation. 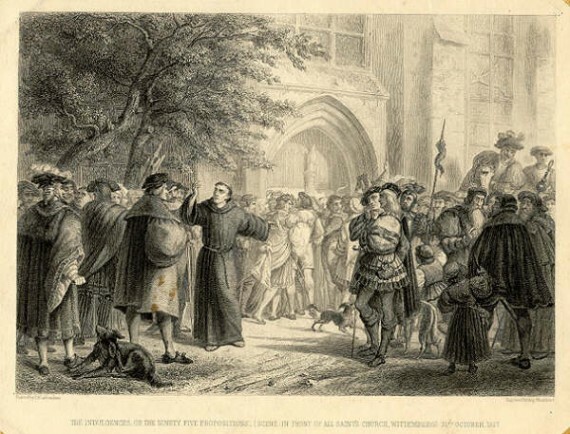 Holding to Sola Scriptura, men like Martin Luther, John Calvin, and Ulrich Zwingli led the charge against the Roman Catholic Church. It’s too bad such a move was impossible. Yes, Sola Scriptura, or “the Bible alone” is an impossible belief. It is doomed from the start. It cannot be held. It cannot be practiced. It cannot be believed. Even if you or your church claims to believe in Sola Scriptura, you actually don’t. Why not? Because in every area of the Bible, from the writing of the text, to the collection of the books, to the transmission, translation, and teaching of the text, extra-biblical tradition and authority is required. The biblical authors themselves did not write from a Sola Scriptura perspective. They often appealed to various beliefs, traditions, and customs which are not found in Scripture to support the argument they make in their writings. If we want to believe and understand what these authors are saying, then to some degree, we must also believe and understand the extra-biblical beliefs, traditions, and customs which the biblical authors mention. Even the Bible itself, as we have it today, is largely a product of tradition and church authority. In fact, if it were not for church tradition and authority, we would not have the 27 books of the New Testament at all. We learned in a previous post about the Canonization of Scripture, that in 397 AD, some of the church leaders decided which books to include in the New Testament. And one of the criteria they used to help make this decision was the tradition of the church up to that time. If we reject church tradition, we end up rejecting the Bible which church tradition has given to us. Unless one wants to limit Sola Scriptura to the original manuscripts themselves (which I have never heard of anyone doing, because such a move would make the Bible completely useless for us today), the Greek and Hebrew manuscripts we have today are the result of 2000 years of church tradition. As we learned in the discussion on Inerrancy, the process of copying the Greek and Hebrew texts caused errors to creep into the biblical manuscripts over time. When a copiest faced a variant in a manuscript, he was forced to make a decision about which variant was most likely correct. How did he decide? Tradition. There are two main schools of thought on how to determine which variant is the right one, but both approaches use a tradition that has developed over time. There is not a single translation in the entire world which literally translates every single word from the Greek and Hebrew. Some get closer than others, and those that are closest in literal translation (such as Young’s Literal Translation of the Bible) are nearly impossible to read. So when scholars translate the Greek and Hebrew text of Scripture, how do they decide where to “tweak” the translation to make the meaning and ideas of the text more clear for modern readers? They use tradition. Occasionally, people come along and challenge that tradition, and as a result, translations change. Furthermore, translations often reflect the theology of the translator as well, which also is dependent upon a tradition of church beliefs and doctrine. So as you can see, there is no aspect of the Bible which fits the claim of Sola Scriptura. Every aspect of the Bible, from the authors who wrote it all the way up to we today who read it, is based in some way or another on tradition and extra-biblical information. None of this means that we cannot challenge the tradition. We can and we should. But when we challenge a traditional understanding or interpretation of Scripture, this should never be confused with challenging Scripture itself. At the same time, when proposing an alternate understanding, we must never accuse those who believe in the traditional view of believing in “Scripture plus tradition” while we believe in “the Bible alone” for even a “new view” is based in some way on previous traditions, and as soon as it is taught, becomes a tradition itself. So no, you and I do not believe in Sola Scriptura. It is an impossible belief. But didn’t Jesus write the Bible and leave it with His disciples for us all to follow? No? Oh right, that was the Holy Spirit that He left with us to follow. Yes, and how odd it is that we so often go to Scripture and neglect the Holy Spirit. I do think that both are necessary, but not necessarily in the order we so often place them. Are you quite sure that the Reformers actually held the belief you are attributing to them? You’ve described the label, sola Scriptura, but you’ve taken no care at all to look at what they meant by it. The magisterial Reformers regularly spoke for church tradition, not against it. If you gave sola fide the same treatment you’re giving sola Scriptura, you’d conclude that the Reformers didn’t believe that works had any place in the Christian experience at all. I am only repeating what I was taught in Bible college and seminary, that sola Scriptura was one of the five main rallying cries of the Reformation. Also, I am only taking the definition of sola Scriptura as I was taught it. I will edit my post to make this more clear. However, I am certain I have read numerous books and articles which support the definition I have presented above, but if you have read something to the contrary, I would love to know what you have read and where. Regarding sola fide I’m not sure what your point is. J. I. Packer, in God’s Inerrant Word, argues that Sola Scriptura was the essence of the Reformation, and was central to the thinking and motivation of men like Martin Luther. Again, I am not saying I am not saying I am quite sure about what I was taught. These days, I am pretty critical of most of what I was taught. So if you have evidence that the Reformers did not actually believe in sola Scriptura as I was taught, I would love to read more about it! The analogy I had in mind with sola fide works like this: Sola fide never meant that nobody would ever do any work, and likewise sola scriptura never meant that nobody would ever repair to tradition. Rather, sola fide meant that the work is not part of initial justification; that is by grace alone. Likewise, sola Scriptura meant that ultimate authority is vested in what God says, and not in the words of men. But this is not to say that tradition has no authority, any more than it is saying that the civil magistrate has no authority. Like the civil magistrate, tradition’s authority is derivative and subject to God’s revelation. What you were taught at DTS is a modernist/evangelical perversion that is generally used as a justification for calling all the honor we owe our fathers “Corban,” that we might break the fifth commandment in the name of honoring God. I will check out that link. Now that I think about it a bit more, I believe you are correct in your take on the reformers. Of course, what they believed was just a minor point in my post. There are many people in churches today who think they believe in Sola Scriptura, but really don’t. I agree that many folks today believe the position you described. You were taught it at seminary (as was I), which is surely evidence enough. And although I wouldn’t attack that position in quite the same way you did, I agree it needs to be attacked. I just don’t want to see the blame laid at the feet of the very men who might show us a way out. That book you recommended to me is on its way in the mail. Well put: You succeeded in clearly outlining some truths that some Christians refuse to think about. Enjoyed your article. Good to see you here. Thanks for the comment! Simply put, I wouldn’t trust Sola Scriptura as far as I could throw the Bible upstream underwater. Too many people had their hands in translation of scripture and canonization. The reformers had an agenda other than pure worship, too. I see Sola Scriptura as a great way to manipulate people into believing whatever it is that you put in front of them. And as you said, Jeremy, tradition takes a firm place in teaching, so the whole concept seems skewed. Depends if it has a motor attached or not, I guess. Great points. From what I have read of the reformed fathers, “sola scriptura” has always been more of a “sola (my particular understanding of) scriptura”. The varying traditions all had their own ideas of what scripture was saying and even within the ranks of the reformers, there was not complete agreement of what the scripture was saying. If not from the begginning, at least from very early on, “sola scriptura” has simply been a way to leverage your own understanding of scripture over those of another. Great points. You are exactly right that when “sola Scriptura” is referenced, what people mean is “sola (my particular understanding of) Scripture.” I love it! But when we challenge a traditional understanding or interpretation of Scripture, this should never be confused with challenging Scripture itself. If I challenge someone’s interpretation, aren’t a challenging what the Scriptures Actually say? Maybe. Maybe not. Your tradition may interpret passages or even books one way. Mine may interpret them another. Pick almost any passage and look up twenty interpretations from twenty different traditions and you may find similar understandings or very different understandings. One tradition understands Genesis quite literally. Another thinks it a myth used to explain creation. One tradition understands the Scripture to indicate that all Christians should tithe. Another tradition, using the same Scripture, believes nothing of the sort. We could mention hundreds, even thousands of similar examples. We all use sources outside Scripture to help us try to understand/interpret what Scripture means. No. Challenging someone’s interpretation is only challenging their interpretation of Scripture, but not Scripture itself. If you take almost any verse in the Bible, there are usually two or more ways of understanding what that verse means. Sometimes there are a dozen or more ways of understanding that text. Obviously, the text means something, but it cannot mean ALL of the ways it is understood. So we have to weigh the arguments and study the text and prayerfully think things through.